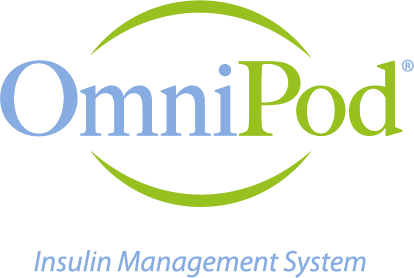 For people with diabetes, the OmniPod Insulin Management System is a life-changing product—if only they knew. At the time of its initial launch, Insulet Corporation was small and unknown, with a new product and disruptive technology: the OmniPod. The target market was resistant to change. The competition was established, with robust marketing and advertising budgets and comprehensive support for HCP offices. Furthermore, one competitor owned the lion’s share of the market. How does a start-up break through the clutter and successfully compete with industry giants? We created a highly provocative launch campaign that captured the attention and interest of HCPs and patient audiences. Bold, unexpected visuals paired with targeted messaging sparked curiosity and inspired action to learn more about the OmniPod—the world’s first tubeless insulin pump. Within one year of launch, sales increased dramatically, and brand awareness among our target audience rose 475%. In addition, we continued to nurture existing OmniPod customers with ongoing patient education and engagement materials to help support the OmniPod patient experience and foster brand loyalty. We achieved over 1,500 new HCP leads in one year—each one a healthcare provider with a robust patient base. HCPs are known to resist new technology, preferring to prescribe therapies that are tried and trusted. 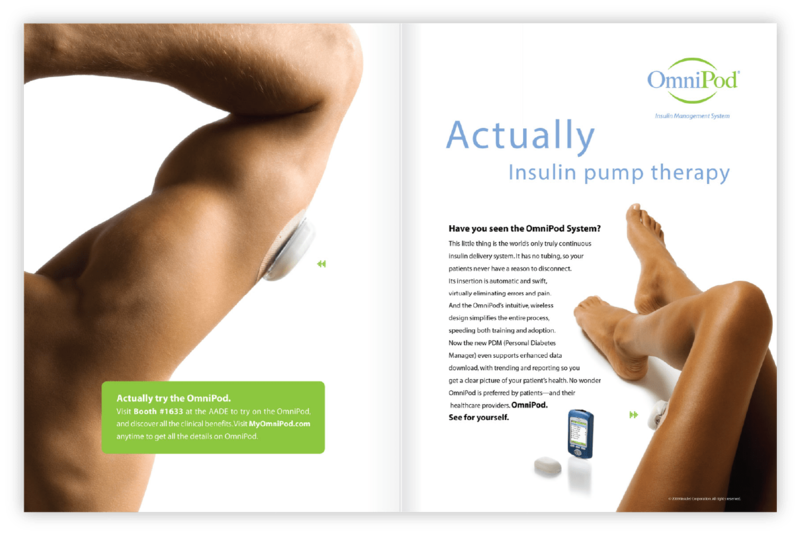 Our creative strategy reinforced the efficacy of pump therapy and the unique features and benefits of the OmniPod. 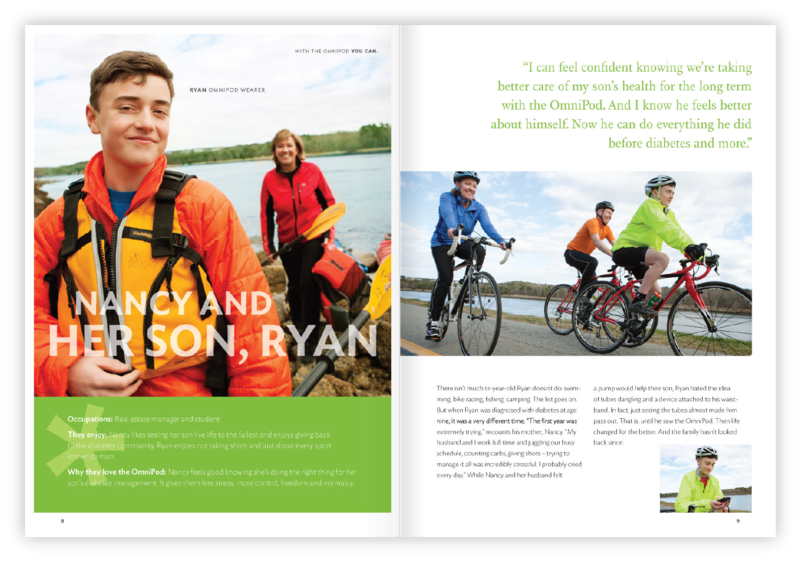 Through the use of dramatic imagery and targeted messaging, we created a bold campaign that HCPs simply couldn’t ignore. We created a comprehensive plan to engage HCPs at industry events with an OmniPod teaser video on shuttle buses, dramatic OmniPod booth graphics, digital presentations, and experiential learning opportunities that connected HCPs to OmniPod customers and sales reps. Product samples and education materials were distributed to further promote learning more about the OmniPod. 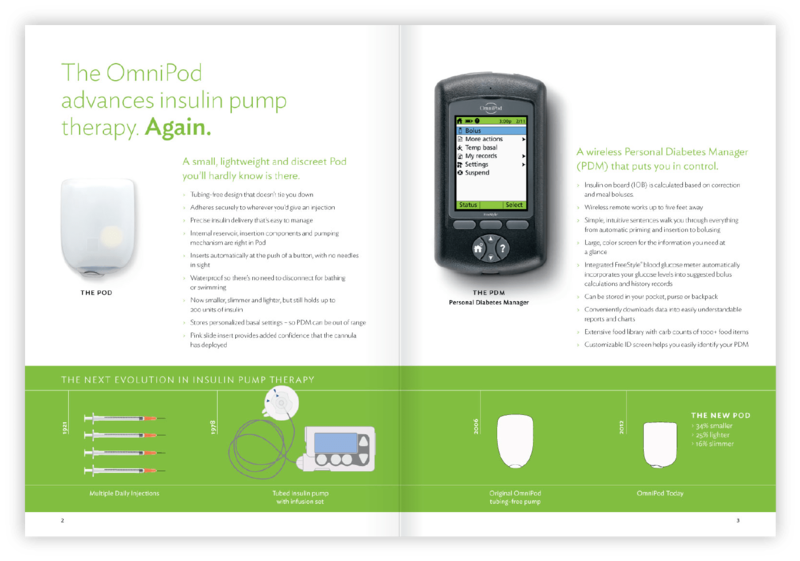 Within a year, OmniPod brand awareness among our target audience rose 475%, making it the second-highest insulin pump brand in awareness. Requests for OmniPod Demo Kits were four times more than goal. 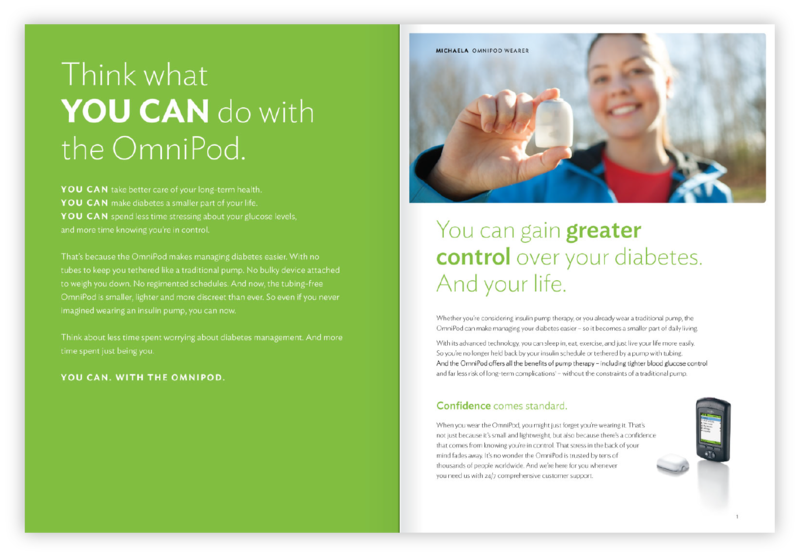 And a seasoned sales force credited OmniPod’s marketing with powerful, sales-generating momentum. The OmniPod product packaging invigorated the brand with a new and distinctive visual system, reinforced with infographics that patients could reference quickly and easily. 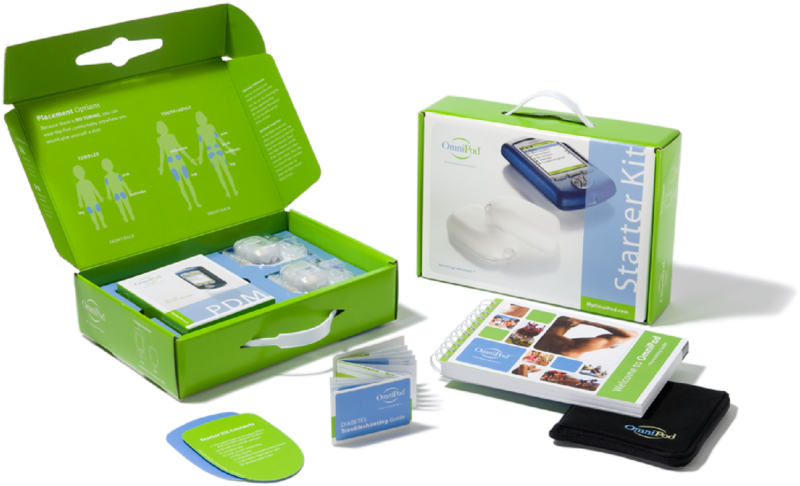 The Starter Kit was designed to support OmniPod patients with education materials, tips, and tangible tools that helped ensure a successful experience with OmniPod. 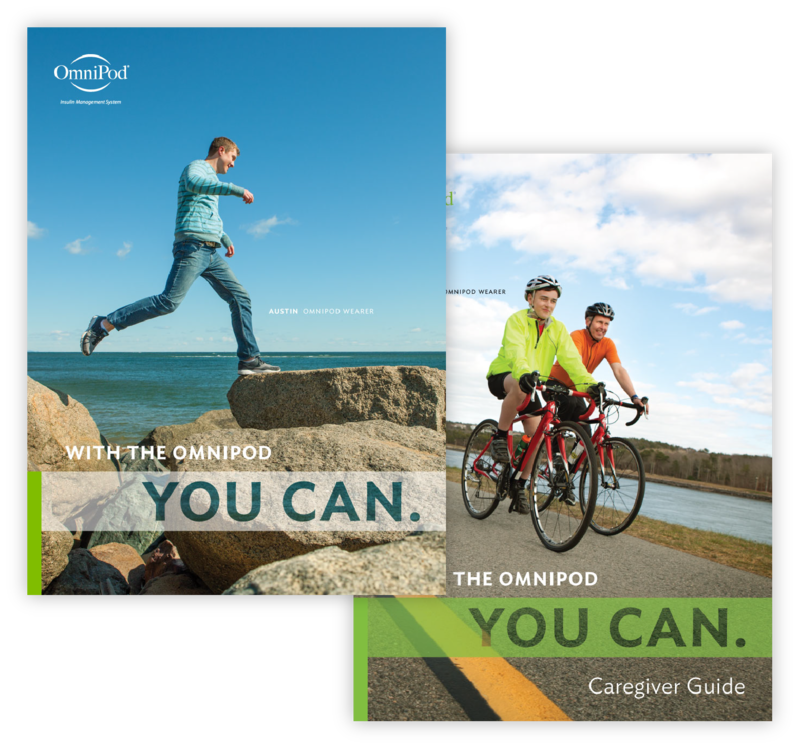 The OmniPod consumer campaign educates existing and prospective customers by focusing on the OmniPod’s evolution into a smaller, lighter, and more discreet product with all the benefits of insulin pump therapy with no tubing. We highlighted customer experiences with the OmniPod, reinforcing credibility with authentic peer-to-peer validation. Our pediatric campaign appealed to both child and parent by reinforcing messages of freedom from tubing, shots, and pain. 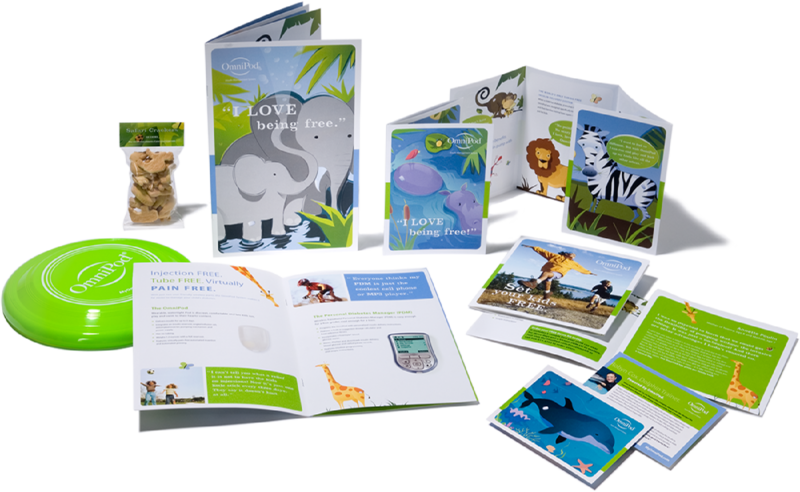 Whimsical illustrations of friendly animals wearing the OmniPod helped children emotionally connect with the animals and inspire the feeling that they too could wear the OmniPod. 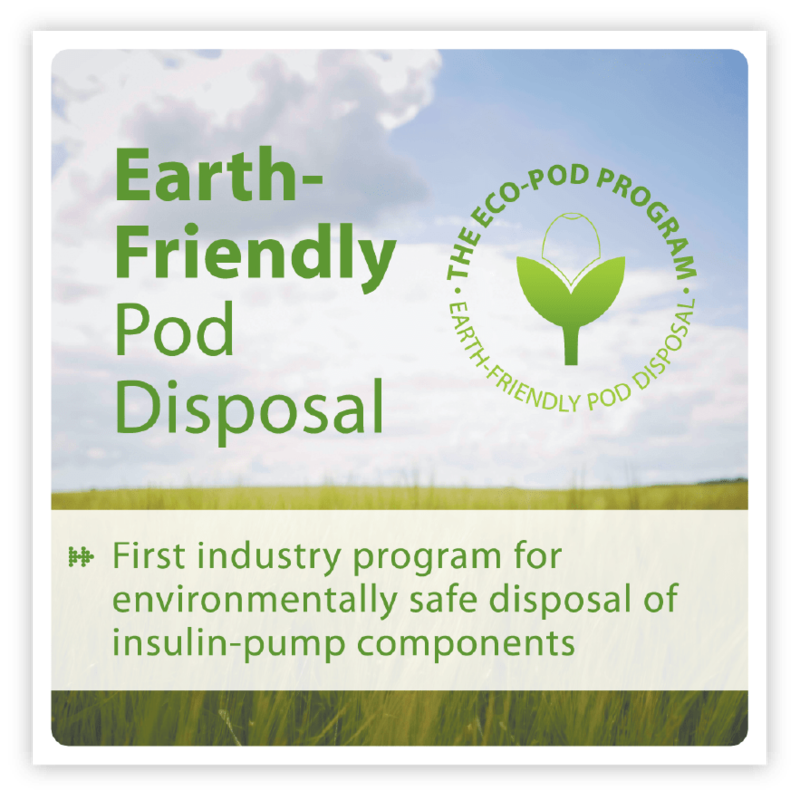 The Eco-Pod Program was the first industry program for the environmentally safe disposal of insulin pump components. We designed a visual identity and campaign encouraging participation with targeted promotion and rewards. 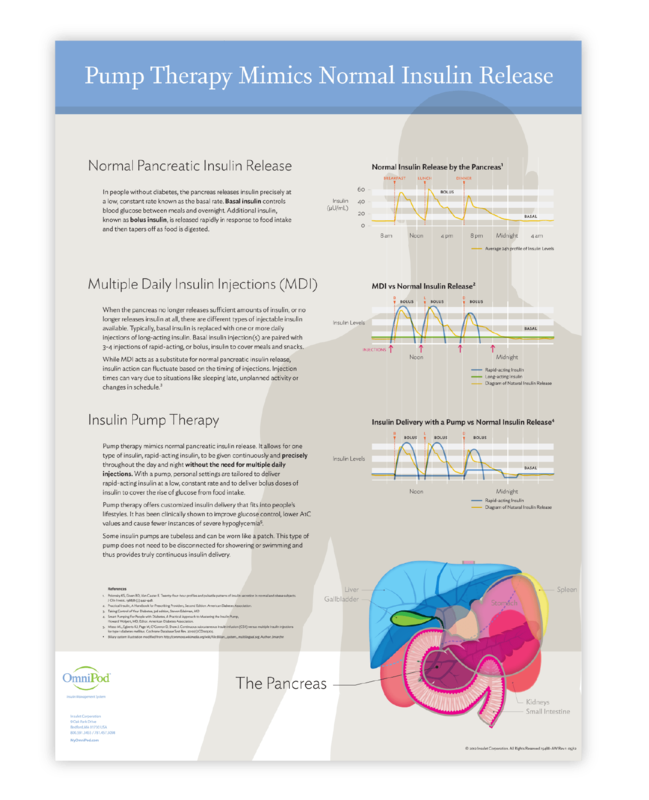 A quick reference to understanding diabetes and insulin treatment therapies, this poster was designed for HCPs to share with patients in their offices and was provided as a giveaway for conference attendees who visited the OmniPod booth. Need help building a highly effective brand experience?